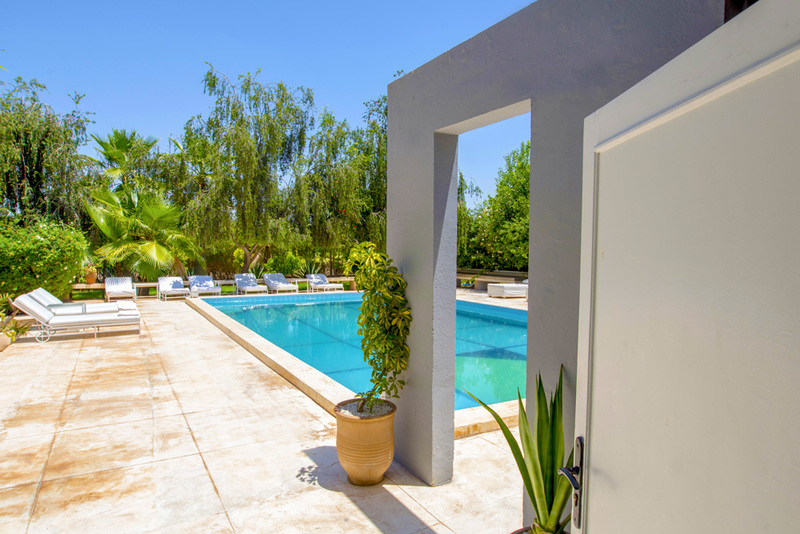 A pretty and contemporary three bedroom villa with its own private pool and relaxing gardens, set on a large private estate yet only ten minutes by car to Marrakech’s vibrant and beautiful medina. 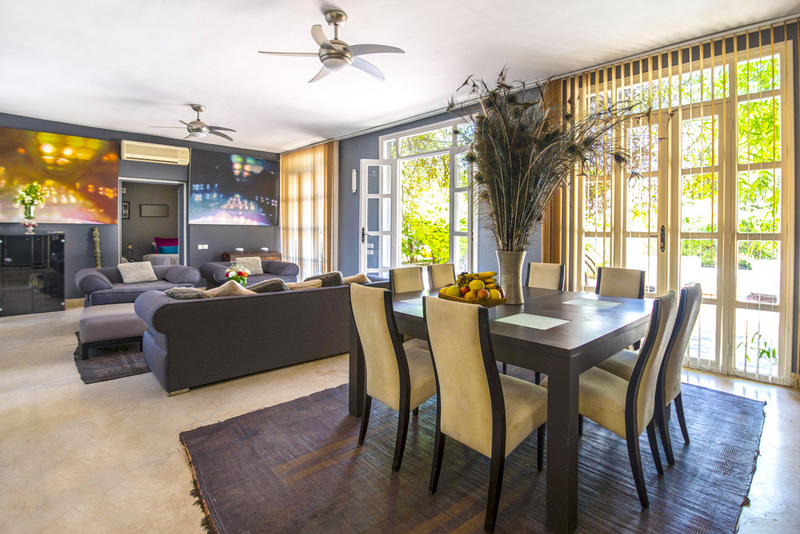 Adorned with original art work and bronze sculptures, this holiday home has been styled with simplicity yet elegance and has the feel of a warm and homely villa. 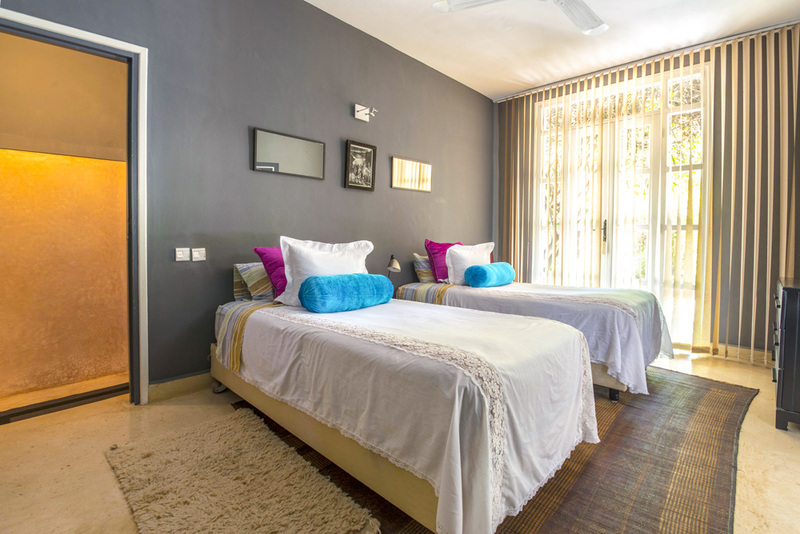 It offers you everything you may need including a housekeeper plus additional services such as private chef or hairdresser can easily be arranged. 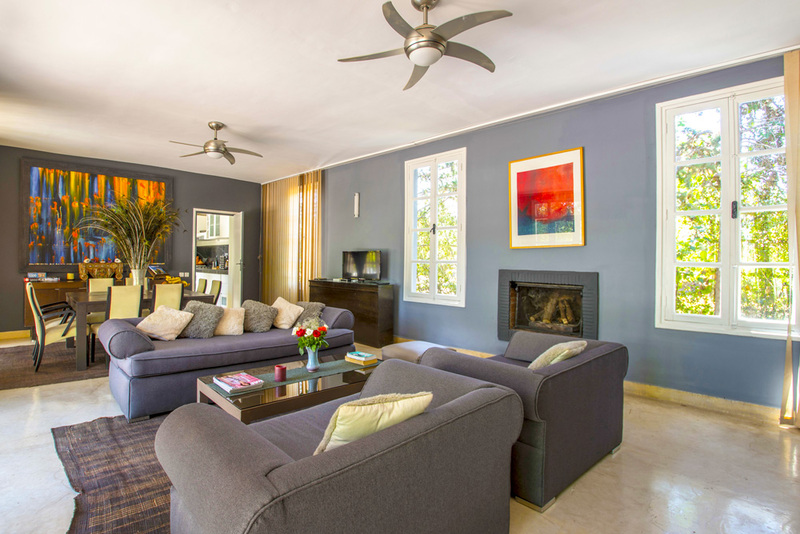 The inviting living room has been decorated with warm colours and offers comfortable seating and a large dining table, with pretty French windows opening on to one of the poolside terraces. 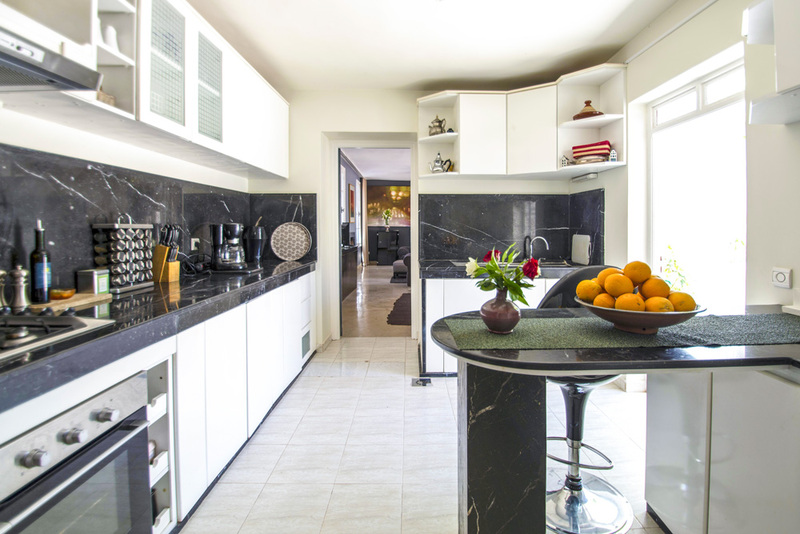 The well equipped kitchen is ideal for keen cooks or simply to prepare some of the fruit picked from the estate’s vast gardens. 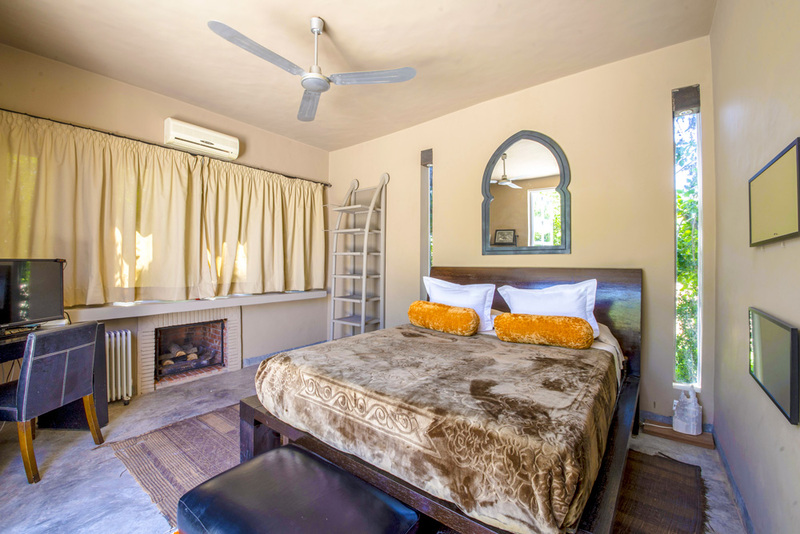 The master bedroom, ensuite with a bath, has its own wood burning fireplace for cooler months and has doors opening out to the swimming pool. 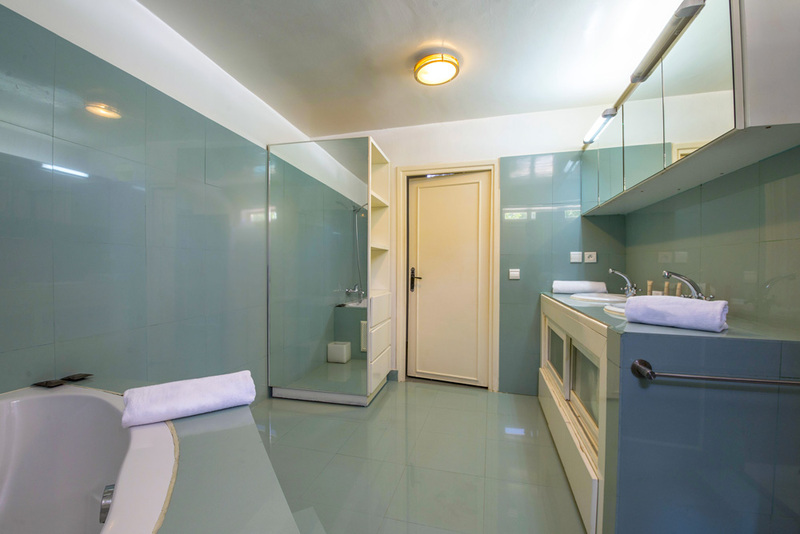 Two further bedrooms, with modern ensuite shower rooms, offer plenty of space for all your family or friends. 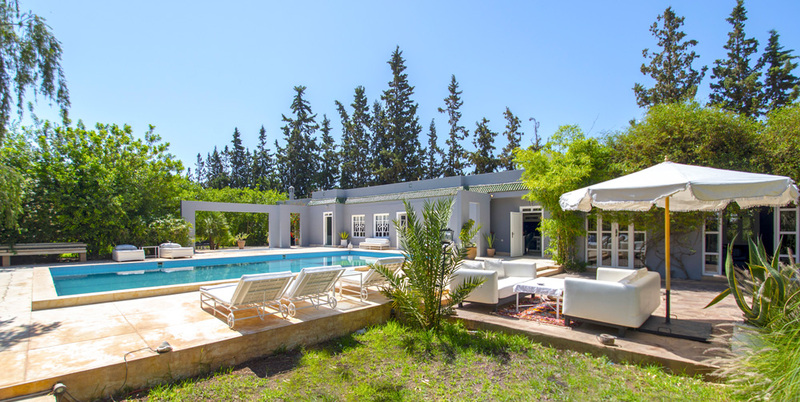 Just step out of the villa to the lovely private swimming pool, with lots of space around for sun-loungers and comfy seating. If the sun gets too much then wander through the gardens amd look out for the family of peacocks that live nearby. 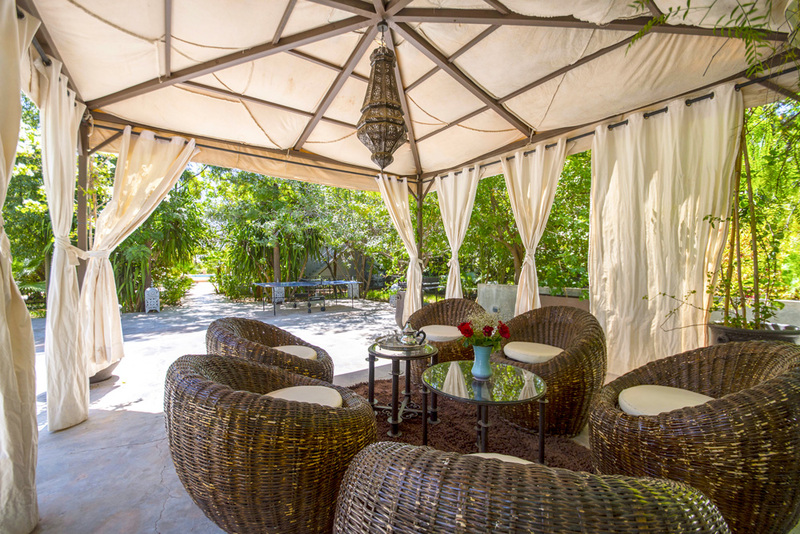 There is a pretty covered area called the Pavillion Lounge where you can sit and sip mint tea whilst the kids play table tennis or just find your own spot of shade under one of the glorious trees. 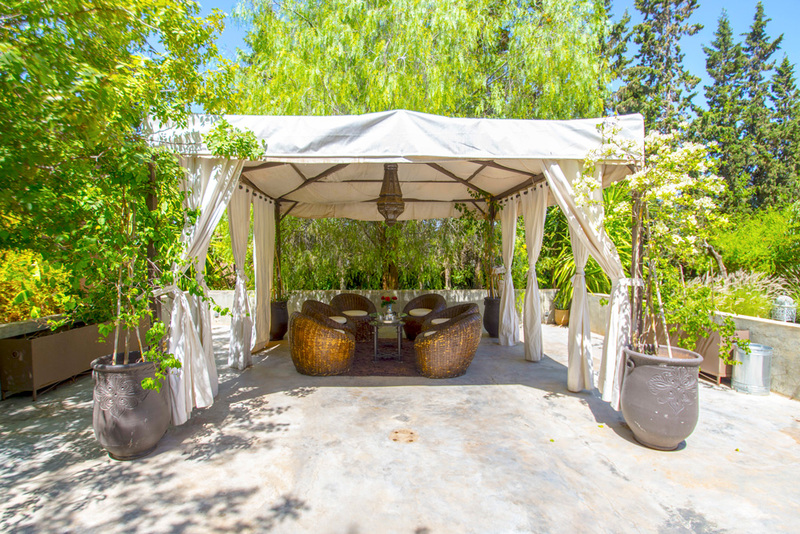 It is hard to believe you are just a ten minutes drive from the hustle and bustle of Marrakech’s medina when you are relaxing by your private pool. 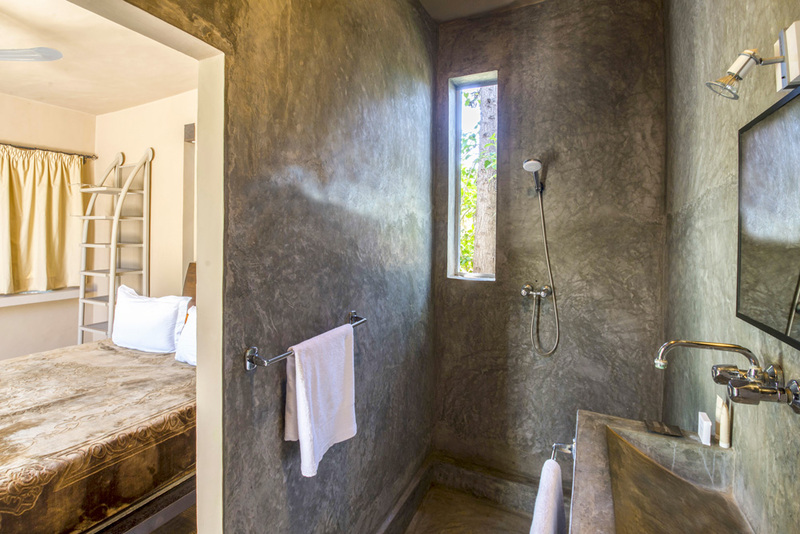 The villa is located on a twelve hectare estate with olive groves, fruit gardens, wandering peacocks and even a family of donkeys. 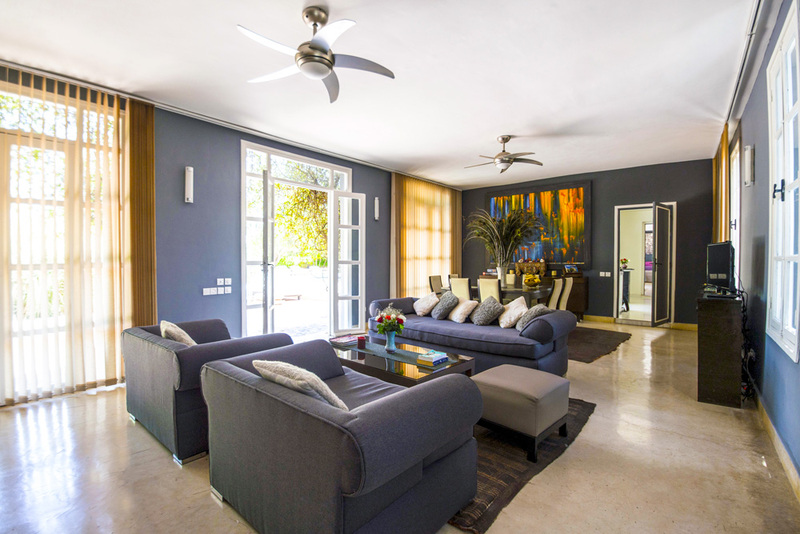 The four bedroom Grande Villa Olive is also set on the estate yet both homes and pools offer privacy from each other. 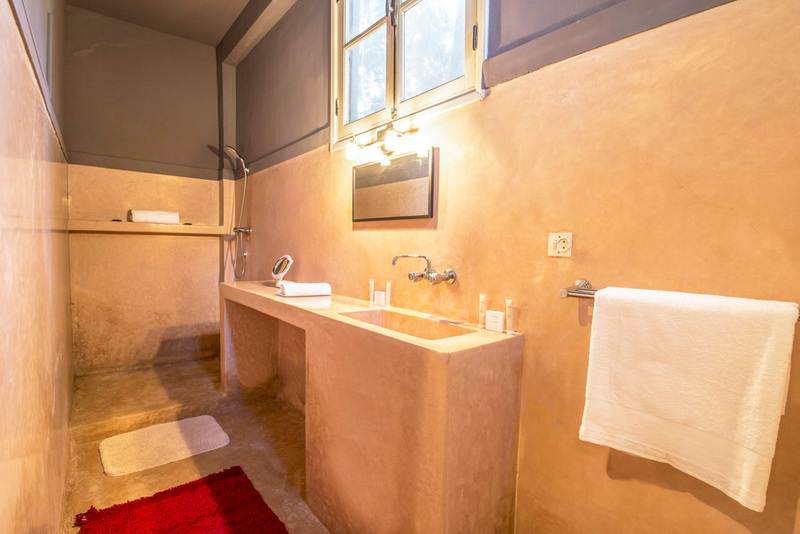 The secluded location, just south of the Jardins de l’Agdal, offers you an oasis of serenity with the beautiful and enchanting Marrakech on your doorstep. Private transfers are included for guests and furthermore a private driver or car hire can be arranged. 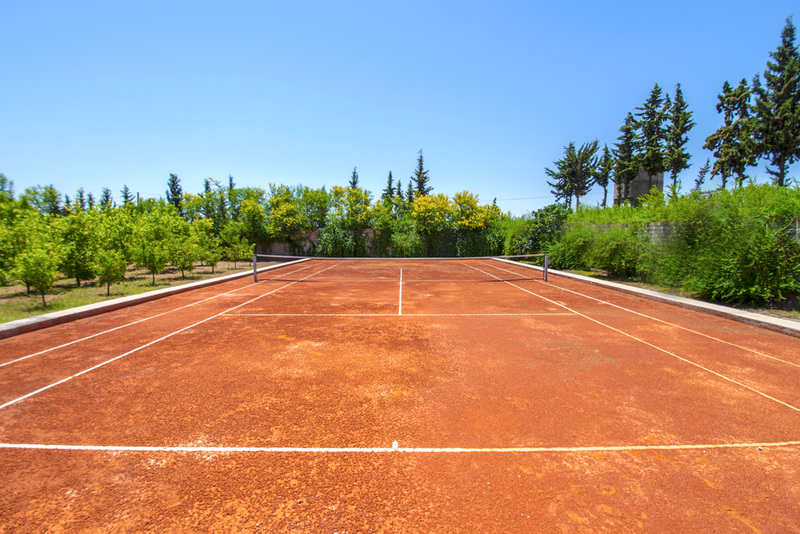 Even though the estate is in the city of Marrakech, you will need a car or driver for the short distance to the medina or nearby malls, shops and restaurants. If you can tear yourself away from the relaxing gardens and pool then Morocco is yours to discover with day trips possible to the stunning Atlas Mountains, its Berber communities and stunning landscapes or you can even visit the laid back and beautiful coastal town of Essaouira during your stay. It is hard to believe you are just a ten minutes drive from the hustle and bustle of Marrakech’s medina when you are relaxing by your private pool with incredible views of the snow-capped Atlas Mountains. 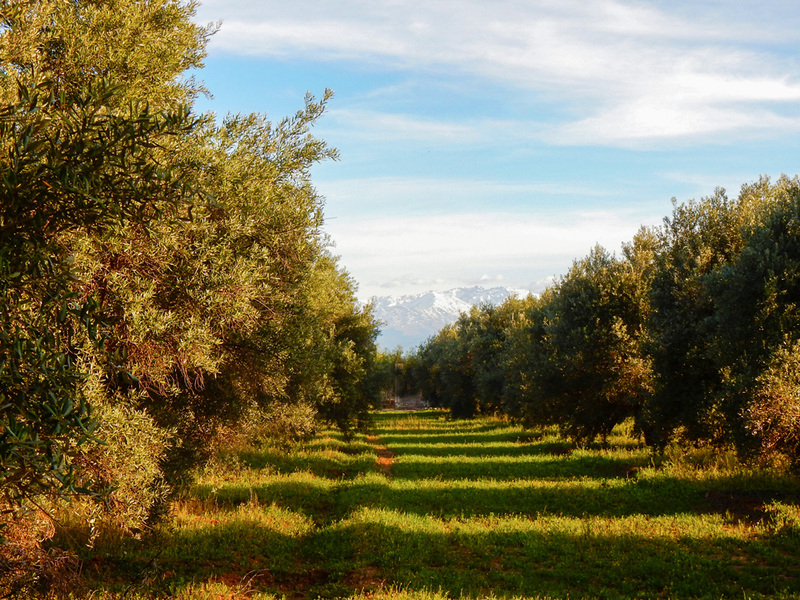 Located on a twelve hectare estate with olive groves, fruit gardens, wandering peacocks and even a family of donkeys, the secluded location, just south of the Jardins de l’Agdal, offers you an oasis of serenity with the beautiful and enchanting Marrakech on your doorstep. Any visit to Marrakech will be a memorable experience and the medina has rightly earned its title as a Unesco World Heritage site. The unforgettable Djemaa el-Fna is a good place to start with its snake charmers and story-tellers and be sure to visit as the sun sets and the square becomes a vibrant hot-spot for sampling local delicacies at communal tables by chefs setting up their market stalls. The ancient walled medina, founded in the middle-ages, is a labyrinth of delights such as ancient palaces, shaded courtyards and beautiful mosques. 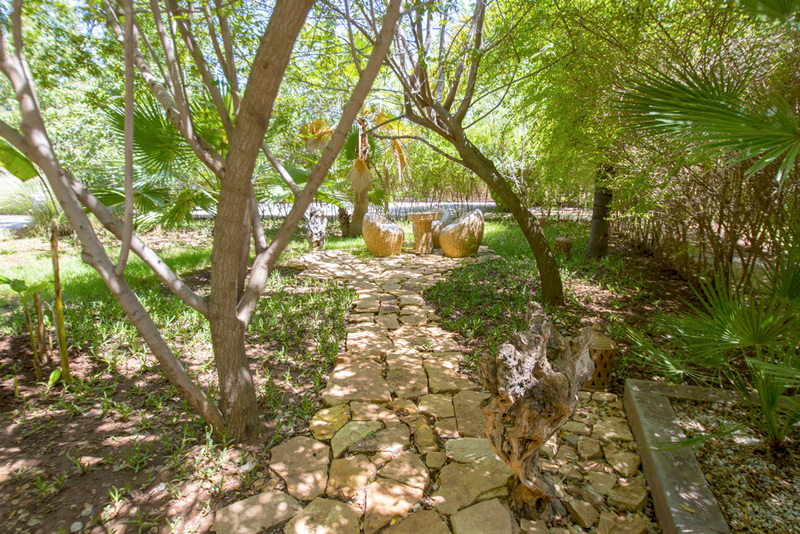 Shopping in the souks and experiencing a traditional hamman are a must or to escape the frentic pace head for the peaceful gardens of Jardin Majorella just outside. The contrasting Ville Nouvelle, built by the French in the mid twentieth century, offers visitors wider boulevards, contemporary art galleries and trendy boutiques. 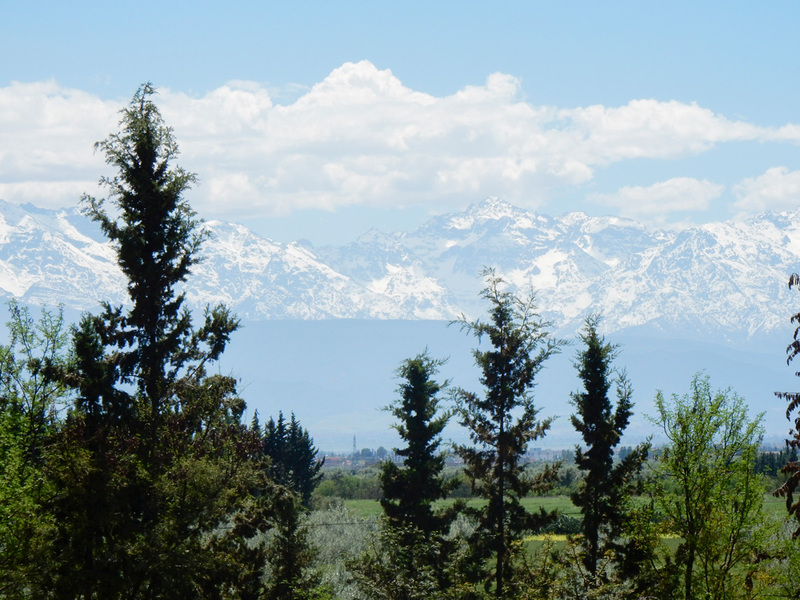 The snow-capped Atlas Mountains are visible from the city and can be easily visited in a day, either by hiring your own car or arranging a private driver and guided tour. Meet local berbers, trek with a camel or simply visit stunning landscapes such as the Ouzoud Waterfalls. 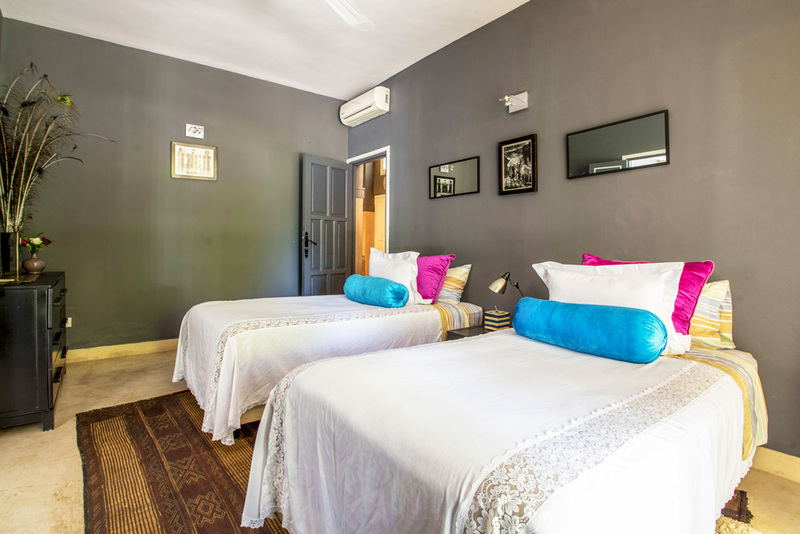 Further exploration to coastal, laid back Essaouira or the stunning mountain city of Ouarzazate are also possible during your stay. 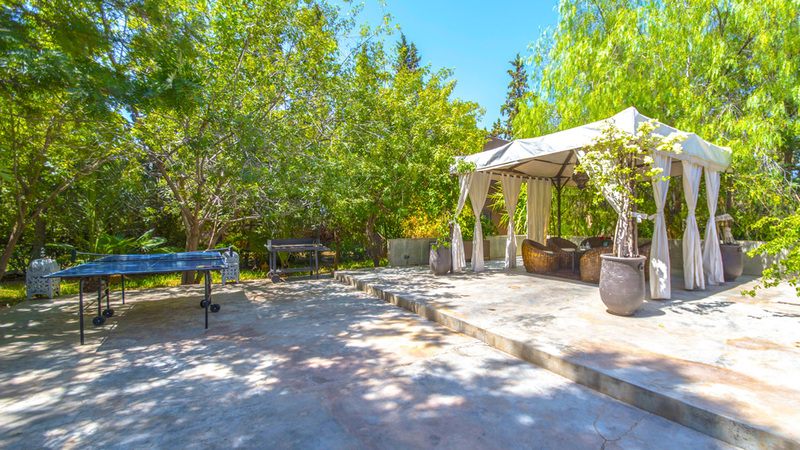 This is by no means an exhaustive list, so please just contact Excellence Luxury Villas VIP Concierge Team to help you arrange any of those little extras that can really make the difference.